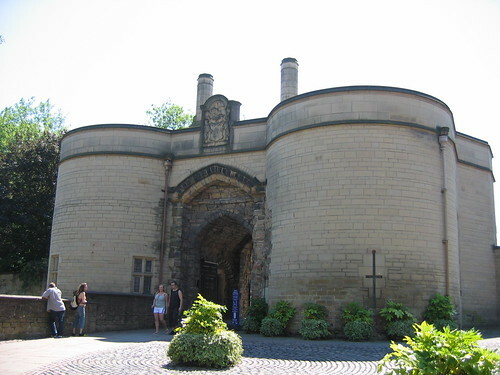 If you love old English history and the legend of Robin Hood, you must travel to Nottingham. Located in the East Midlands of England, this charming city offers a perfect blend of the past and present. More a mansion than a castle, the Nottingham Castle offers tours where you can view gorgeous rooms with ornate furnishings and art works while also learning about the rich history of the place. After the tour, you can enjoy a bite to eat in the on-site restaurant and then stroll about the beautiful gardens, which offer scenic views of the area. Steeped in legend and myth, this historic public house claims to be one of England’s oldest drinking establishments, dating back to 1189. Built inside of a cave system, the pub takes its name from the legend that 12th century Crusaders once stopped in here for a drink on their journey to Jerusalem. Additionally, the pub features a chair purported to increase fertility in women and a wooden ship model said to be cursed. However, a few things you will find to be factual about this pub include great food, ale and old world charm. Carved from sandstone, Nottingham’s extensive network of man-made caves have been used over the centuries for various purposes from public houses to tanneries and air raid shelters. From the Broadmarsh Shopping Center, you can enter this elaborate cave system to learn all about its fascinating past. While you are here, you can also shop for a bargain among the market stalls located on the ground floor of the mall. Although not recommended for the faint of heart, the Galleries of Justice is one of Nottingham’s most visited attractions. Formerly a complex of courtrooms and prisons dating back to the 1400s, the Galleries of Justice is now a museum where you can learn all about the city’s legal and penal systems during the 15th century by touring the old courtrooms, gallows and gaols containing torture devices. Within walking distance of hotel accommodations, Nottingham’s Old Market Square is one of the oldest and largest plazas in the United Kingdom. A popular place to socialize, the plaza features many shops, restaurants, pubs, water fountains and monuments. In addition to romantic folklore, Nottingham exhibits a lively arts and culture scene. Art galleries here include the Nottingham Contemporary Art Gallery, the Angel Row Gallery and the Nottingham Castle Museum and Art Gallery. Nottingham theatres include the Theatre Royal, the Nottingham Playhouse and the Lace Market Theatre. If you want to enjoy the outdoors while visiting Nottingham, what better place than Sherwood Forest County Park? Situated within the remnants of Robin Hood’s legendary home, Sherwood Forest, this 450-acre park offers views of an 800-year old oak tree and activities such as walking, cycling, picnicking and arts and crafts. The National Watersports Centre offers three different bodies of water where you can learn the basics of sailing, power boating, water skiing, windsurfing, kayaking, canoeing and white water rafting. Like most of England, Nottingham features a mild climate with frequent rains and temperatures that are rarely to cold or too hot. Eager to visit Nottingham? Check out the unbeatable hotel deals available online now.